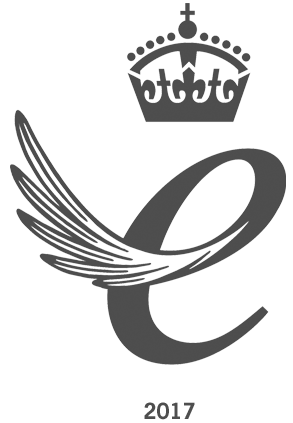 Announcement: Ecotile One Of Five Firms To Win TWO Queen’s Awards for Enterprise! Bedfordshire based Ecotile Flooring Ltd are delighted to announce that we have been named the winner of two Queen’s Awards for Enterprise; the most prestigious business award in the UK which represents the highest accolade for business success. Ecotile are one of five companies to receive not one, but TWO awards in 2017. We have received an award for outstanding achievement in Innovation & another for our contribution & accomplishments in International Trade. As winners of the Queen’s Awards for Enterprise, we will be visited by a Royal representative and presented with a commemorative trophy as a mark of our achievement! We will also be invited to a Royal reception at Buckingham Palace, hosted by Her Majesty The Queen. Established in 1965, the Queen’s Awards for Enterprise celebrates the UK’s small and medium sized businesses. Only 167 businesses across the UK have been recognized for their contribution to international trade, innovation, sustainable development and promoting opportunity. Entries are open as of today for the 2018 awards. Established in 1996, Ecotile Flooring design, manufacture & supply sustainable interlocking tiles to many industrial & commercial businesses. We recently began a concerted push to grow our international business, which has proven to be very successful & export sales now account for over 40% of turnover. All of us here at Ecotile Flooring are so proud to be part of this wonderful award. You can learn more about the Queen’s Award for Enterprise here.